As well as web design we also design web interfaces for internal systems. 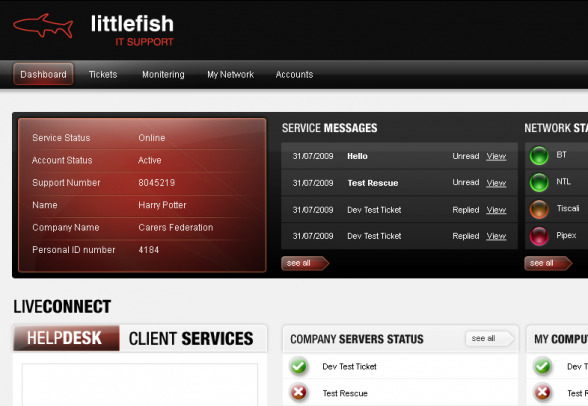 We have just designed the interface for the revolutionary Littlefish IT Support Client Portal which will change the IT Industry. 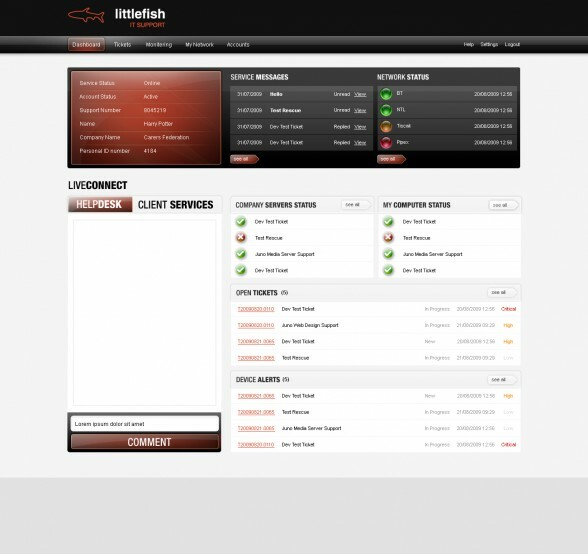 What makes this work even sweeter is that Littlefish are our buddies… It feels good to finally dress them up in a decent visual to help take them to the next level. Here is the new interactive design. Bloggin ‘ell… here is a closeup for the detail.